MARLS Business Workshop - Stewardship Masters International, Inc.
You can save yourself considerable time and money by exploring ideas in depth before you commit resources to research and development (R&D). It is easy to get carried away with new and exciting ideas and plough money into projects that have no realistic chance of success. Before investing in products, take a step back and review what is achievable and financially viable. It Starts with the Idea and your Why. 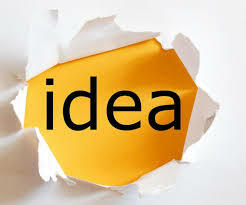 The focus of the upcoming June 24th workshop will be on Developing Your Idea and Why Analysis. After registering for your workshop, you will be able to download your class workbook in the checkout section. You are expected to begin working on the exercises weeks before attending the workshop. This workshop is highly engaging and mentally stimulating. So come prepared to get work done. Cost per single session of Stage 1 workshop is $49.00/ Package of all 4 of Stage 1 workshops is $189.00. Kindly click the Registration button on this page associated with single session or packaged sessions.